Seller is accepting backup offers. Offer was accepted on 3/11/19. MULTIPLE OFFERS --- HIGHEST AND BEST DUE BY MONDAY 3/11/19 @ NOON! Please note this home is not for rent. This 3-bedroom, 2.5-bath home is located in Cross Creek subdivision with city water and city sewer. 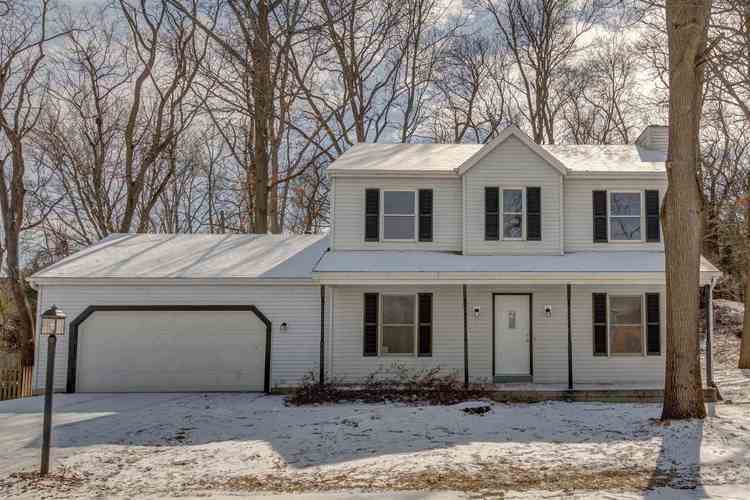 The home has been fully remodeled for its new buyer and it is priced to sell! Brand new roof, brand new furnace, brand new water heater. Brand new kitchen, brand new appliances, all 2.5 baths renovated, new flooring throughout, fresh paint throughout. Many other updates include but are not limited to: numerous windows replaced, new front door, freshly painted exterior (shutters, posts, trim, etc. ), new sidewalk. The large master suite has an en-suite bathroom and walk-in closet. Seller is willing to give a credit for closet shelving. Directions:Clevland to Lilac, turn north. Go straight through the stop sign at Darden, entrance to subdivision is your first left. Turn left into the neighborhood and take your first left onto Cross Creek, Left onto Spring Hilll, home is on your left.